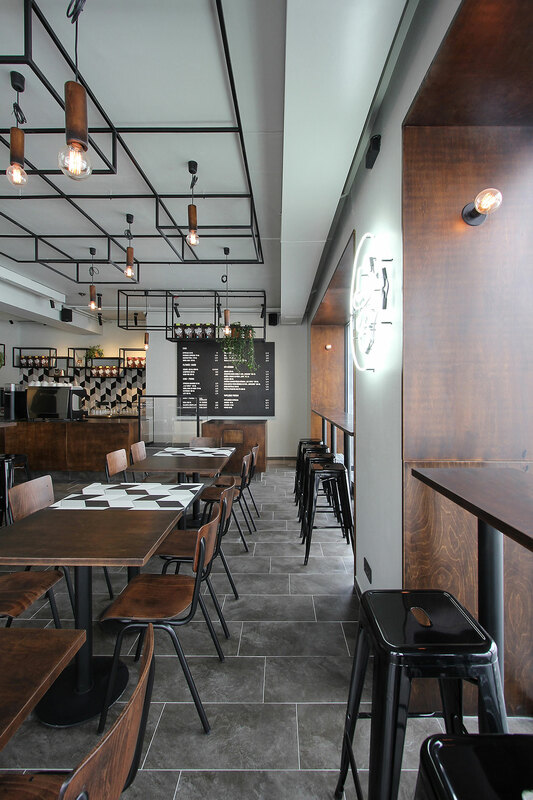 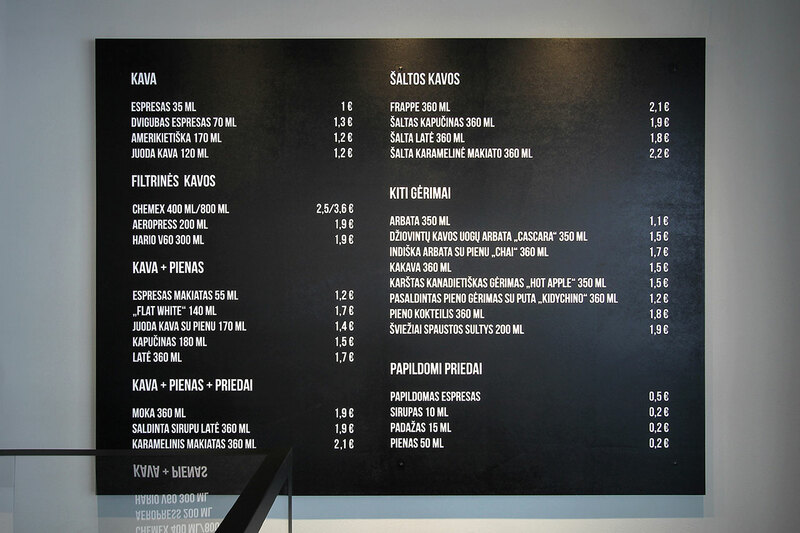 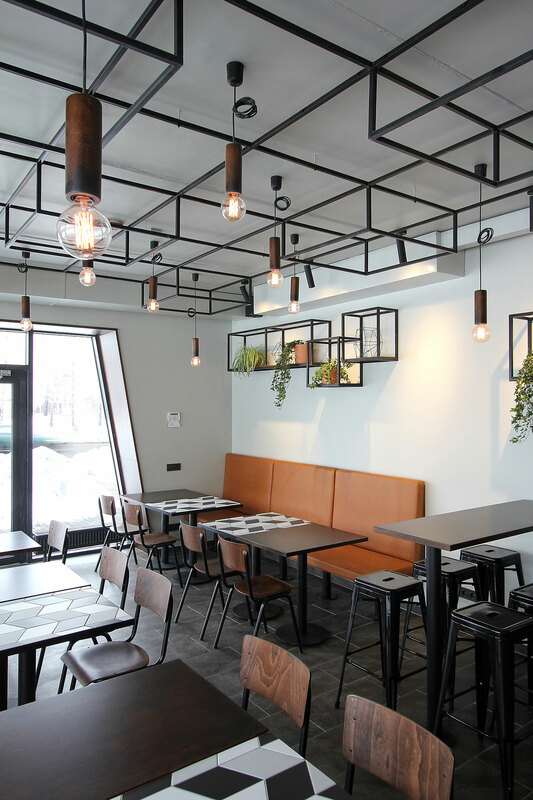 Designed by Lithuanian designer Ramūnas Manikas, Kavalierius is a specialty coffee shop in Panevėžys, Lithuania, dedicated to fine coffee in all its varieties and making methods. 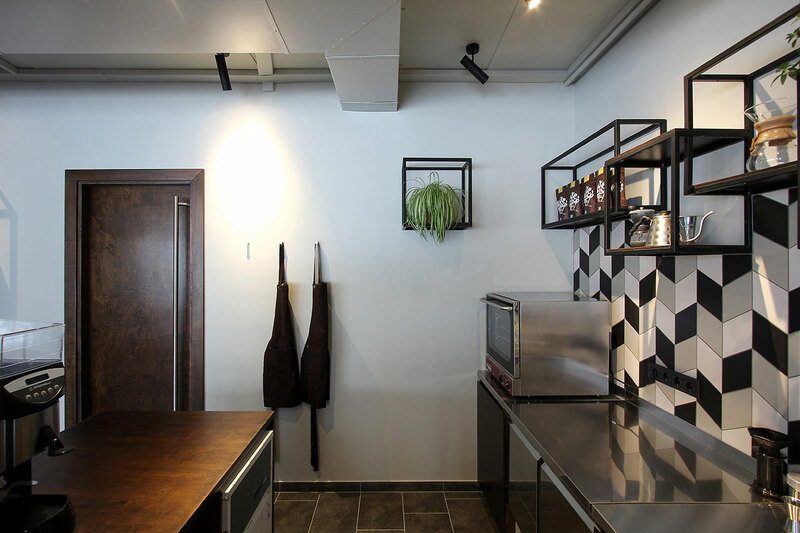 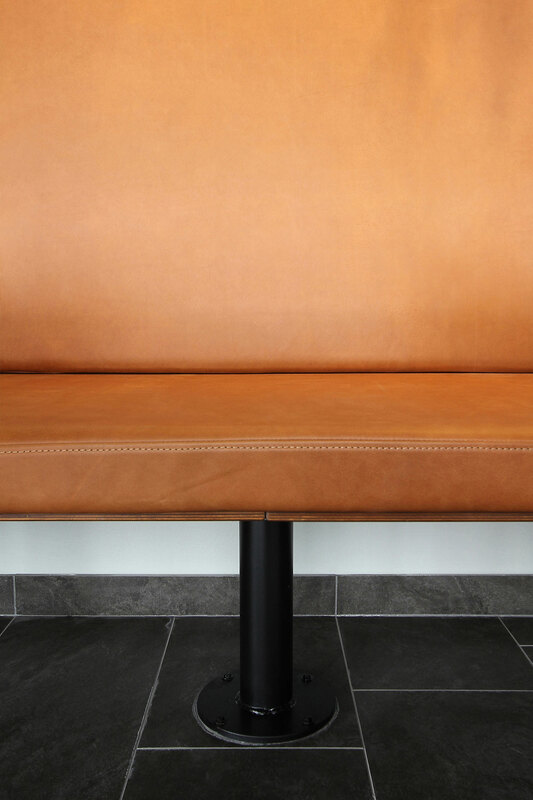 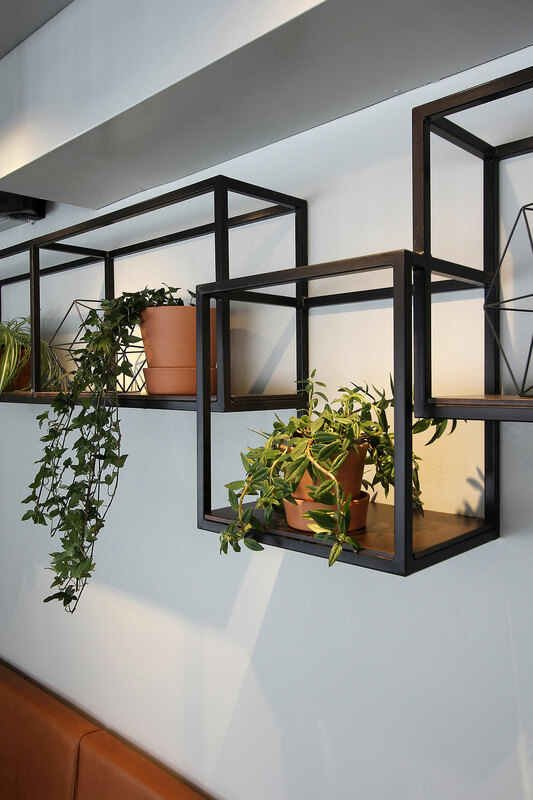 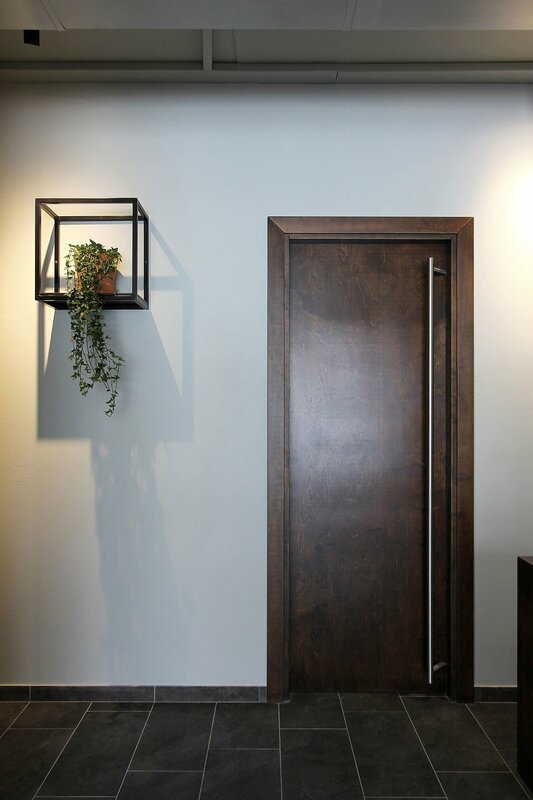 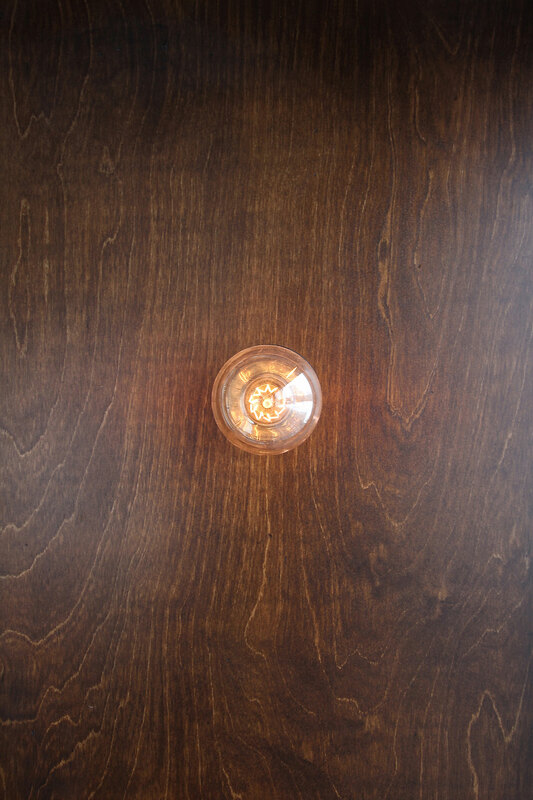 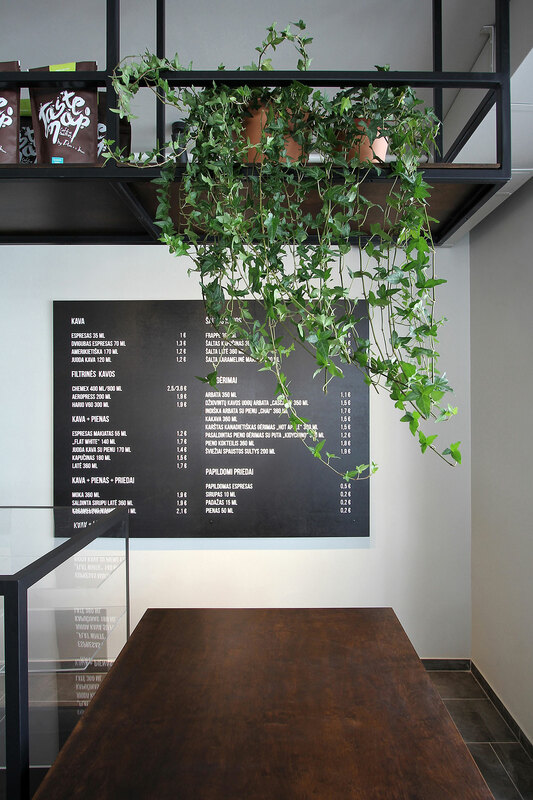 To match the specialised product on offer, the designer created a sombre and elegant space that acts as the perfect, non-distracting backdrop for an authentic gourmet coffee experience. 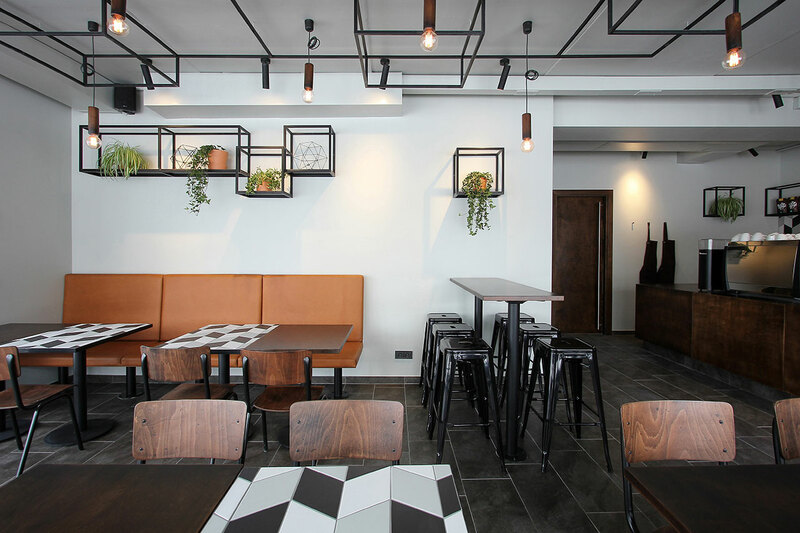 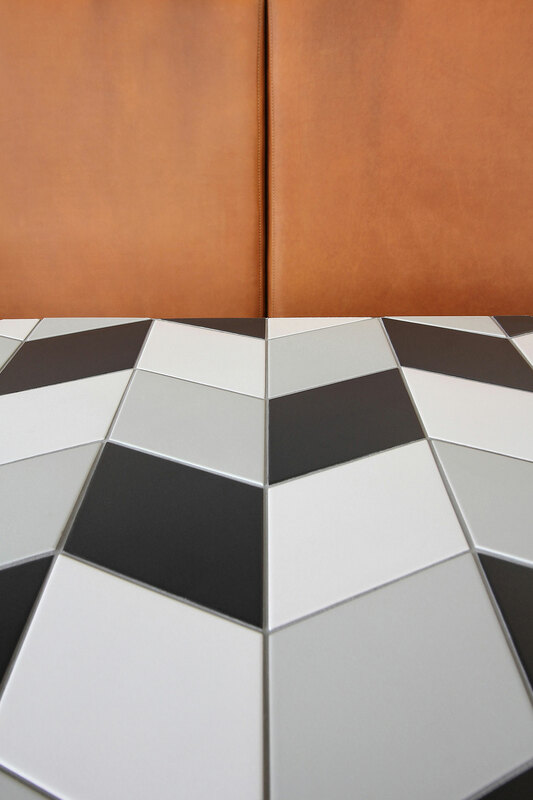 Throughout, different geometries are seen at play, from the irregular pattern on the floor tiles to the composition of steel frames hanging from the ceiling, while, the otherwise dark colour palette is brightened up by live plants on shelves and the monolithic orange leather settee set against one of the walls. 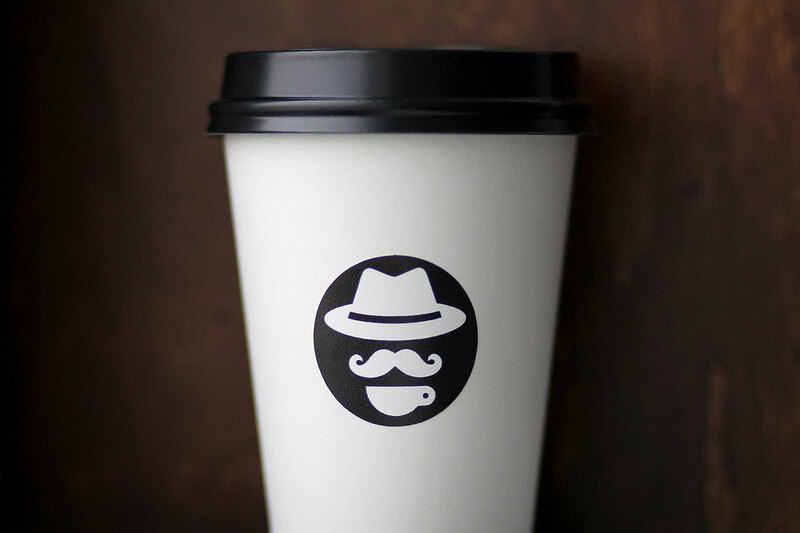 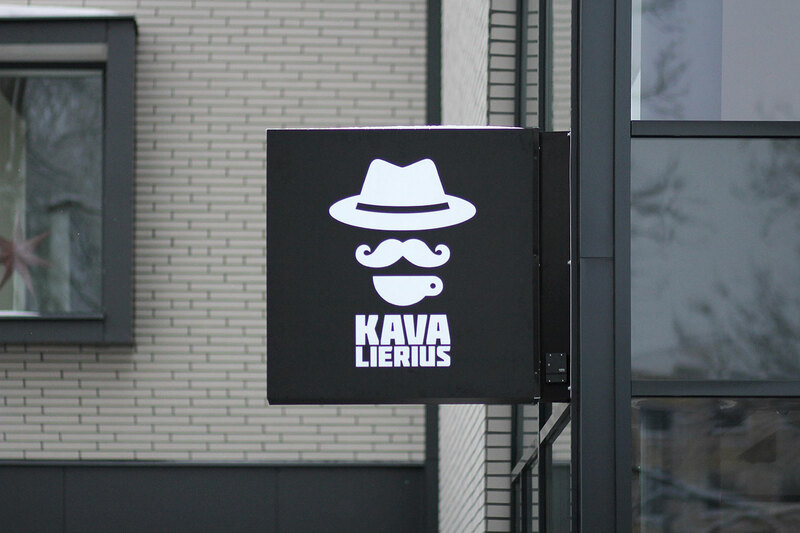 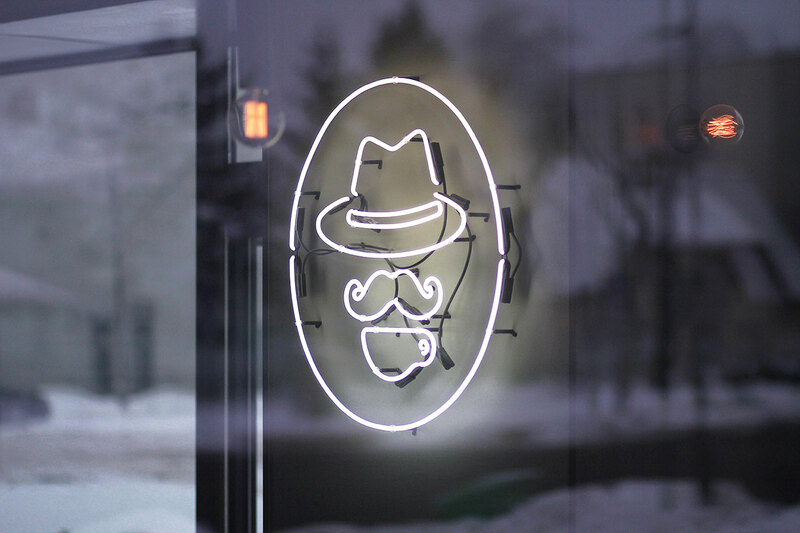 Kavalierius means cavalier in Lithuanian, and the name evidently inspired the shop’s unique logo, also designed by Manikas, which depicts a moustached gentleman who, like the staff at Kavalierius, apparently knows everything about fine, well-brewed coffee.